India is all set to witness a high octane electoral battle on April 11, the first phase of the seven phased general election. This is the 17th general election in India since it became independent in 1947 and conducted its first general election in 1951-52. A total of 91 constituencies across 20 states of the country will go to polls on April 11. Interestingly hundreds and thousands of candidates are sweating it out in heat and dust to try their luck and the confidence of the voters in them. A total of 1,279 candidates are in fray for 91 Lok Sabha seats. Of this 89 female candidates, that is 7 pc, are contesting in the Lok Sabha Phase I of elections. Interestingly the general election will put the BJP-led National Democratic Alliance against mostly different opposition groupings in various states, including Congress, the Left and regional forces who are continuing to work out a grand alliance to minimise a division of votes against the saffron party. 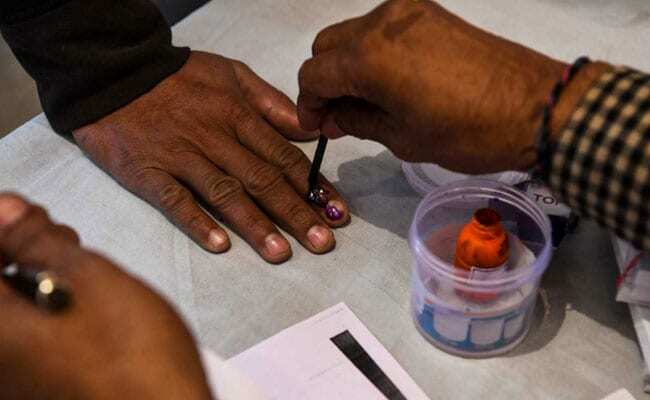 States going to polls in the first phase of polling include, Andhra Pradesh (25 seats), Arunachal Pradesh and Meghalaya (two seats each), Mizoram, Nagaland, Sikkim, Andaman and Nicobar and Lakshadweep (one seat each), Telangana (17 seats) and Uttarakhand (five seats). Uttar Pradesh, Bihar and West Bengal will see polling in all the seven phases. In the first phase, eight seats in western Uttar Pradesh, two in West Bengal and four in Bihar will go to polls. UP has 80 seats, while West Bengal and Bihar have 42 and 40 Lok Sabha seats respectively. The Jammu and Baramulla seats in Jammu and Kashmir will also go for polling in the first phase. According to Delhi based independent think tank-Association for Democratic Reforms, 30 out of 83 (36 pc) BJP candidates and 35 out of 83 (42 pc) Congress candidates have admitted that they have criminal cases filed against them. Congress also has larger proportion of candidates with serious criminal offences against them. Out of 1,266 candidates, 213 (17 pc) have admitted that there are criminal cases against them while 146 (12 pc) have admitted to have serious criminal cases filed against them. Cases under various sections have been filed against Lok Sabha candidates. These include murder, attempt to murder, kidnapping, kidnapping for ransom, kidnapping or abducting with an intent to commit murder, kidnapping a woman in order to force her to marry. Regional parties are also not far behind when it comes to criminalisation of politics. For instance, YSR Congress in Andhra Pradesh has fielded 40 pc of candidate with criminal background while for the Bahujan Samaj Party in Uttar Pradesh, it is 13 pc. Out of 91 constituencies, red alert has been declared in 37 constituencies. Such an alert is sounded in a constituency if three or more candidates have criminal cases filed against them. As many as 526 candidates, around 42 pc, have declared their educational qualification to be between 5th and 12th standard while 619, that is 49 pc candidates have declared having educational qualification of graduate or above. Nineteen candidates have declared that they are literate and 66 of them are illiterate. Thirty-two per cent of candidates contesting elections in 2019 Lok Sabha polls phase one have assets worth INR 10 million (USD 1,44,445) and more. A Congress candidate contesting elections from Chevella in Karnataka, is the richest candidate among those in phase one. He has declared assets worth INR 8.95 billion. YSR Congress Party’s Prasad Veera Potluri is on the second place. He has declared assets worth INR 3.47 billion. He is contesting from Vijaywada in Andhra Pradesh. Kanumuru Raghu Rama Krishna Raju is on the third place with declared assets worth INR 3.25 billion. He is contesting elections from Narasapuram in Andhra Pradesh. He belongs to YSR Congress Party as well. Nizamabad Lok Sabha constituency in Telengana will face the most fierce poll battle as 185 candidates are in the fray in this constituency. The first phase sets in motion the high-voltage electoral battle where the BJP seeks to return to power amid opposition’s efforts to present a united fight to unseat it. Among the states going to poll in the first phase is Andhra Pradesh that has 443 candidates in fray for 17 Lok Sabha seats in Telangana state. After Nizamabad Lok Sabha constituency with 185 candidates in the fray it is followed by Secunderabad with 28 candidates. Has the BJP outsmarted Congress in the game of uniting political allies? Will it be a contest or cakewalk for BJP?